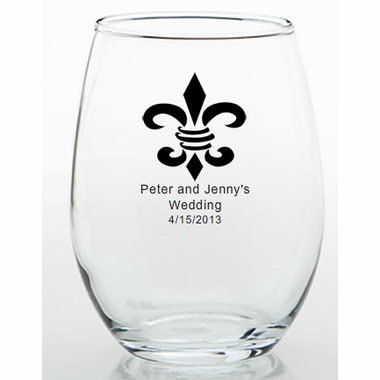 These New Orleans wedding favors are lovely stemless wine glasses also used as trinket holders. They can also be used as french favors for a wedding or party. 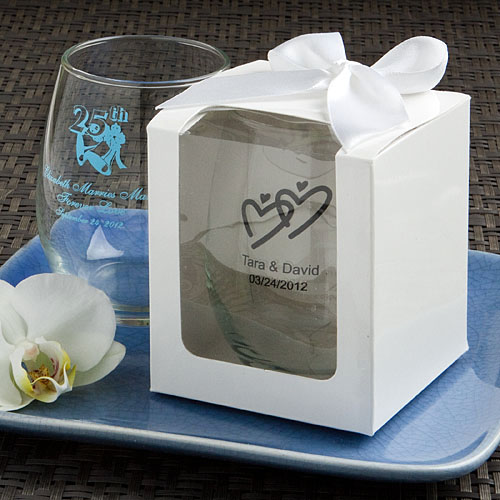 Customized with the name of the bride and groom, they make lovely additions to your tables and can be filled with candy. Many brides select M&M's in the wedding colors. Each measures 3.75"H x 2.5"W, with a 9 ounce capacity, in the hot new stemless wine glass design – great for not tipping over or breaking the stem! These glasses also work well for use as a unique dessert glass. Made in the USA, each is made of clear glass and they’re perfectly fitted to be silk screened with amazing accuracy directly on the glass. 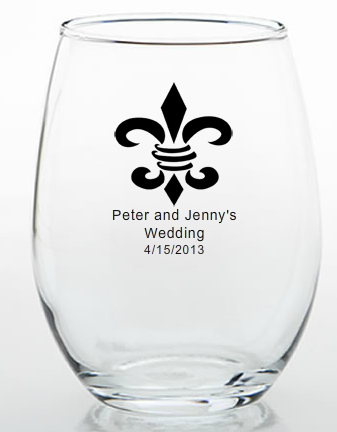 These wine glass favors come bulk packed.